I wish you all the very best in 2017, and I would urge you to make it your most amazing year yet! I am determined to make 2017 amazing, but I dislike setting New Years Resolutions because I never tend to stick to them and they get broken easily. So instead, this year I creating a sort of 'Things I'd Like To Achieve in 2017 & What I'm Looking Forward To' list. In this post I'm going to write out some goals and aims for the year, but also some exciting things that are lined up! 2017 is an amazing year for me as I turn 18! I'm super excited to turn 18 on the 10th January as I believe it will open me out to so many more opportunities. Also I can't wait to celebrate with all my friends and family. OK OK I know this is a generic goal and aim that everyone says in the new year after they've stuffed themselves with pigs in blankets, chocolates, mince pies and alcohol, but this has been a huge aim for me and it continues on. I love eating healthily and going to the gym, and last year I lost 2.5st! Now I'm continuing on to reach my target weight. Another generic aim of 2017 is travelling but I absolutely love experiencing new countries and places. I want to travel on more holidays in the new year to create amazing memories. So 2017 is going to be a huge year for me as I'm taking on my A Levels which determine whether I go to university or not - scary? NOT AT ALL. I am dreading taking my A Level exams and thinking about it as I write this now is starting to make me panic, but I am revising and preparing myself already so hopefully everything will be fine. In May this year I have my Leaver's Prom to look forward to. The evening should be amazing, but the struggle to find the perfect dress will soon start. I've decided that I want to go to lots of festivals in 2017. Last year I went to Wireless Festival and to see The Red Hot Chili Peppers, who were amazing, but I want to go to some many others this year coming. Reading is at the top of my hit list so hopefully my friends and I will get a group together to go! Living in London is absolutely amazing, and I'm always so grateful to live near one of the greatest cities in the world. However I tend to take my location for granted as I should go into the city more often than I do, and I want to make sure I experience more weird and wonderful places in London in 2017. My biggest aim in 2017 is to build my confidence. I'm not a terribly shy person but I do have to 'warm up' sometimes in some situations. My blog, my job and my friends have definitely helped with my confidence in 2016, and as the years go on hopefully I will gain even more. Blogging is a massive part of my life and I want to continue to grow and improve as the year goes on. I aim to better the quality of my photographs, and writing as well as upping my interactivity on my social media accounts. I am also planning on taking the next step by creating more visual content on my YouTube channel! Here comes a generic and cringey aim of 2017... As I'm hopefully off to University in September I want to make sure I spend lots of time with my friends and family this year. I want to create lots of memories and make this year the best one yet because I'm so grateful for everyone in my life - I love you all! 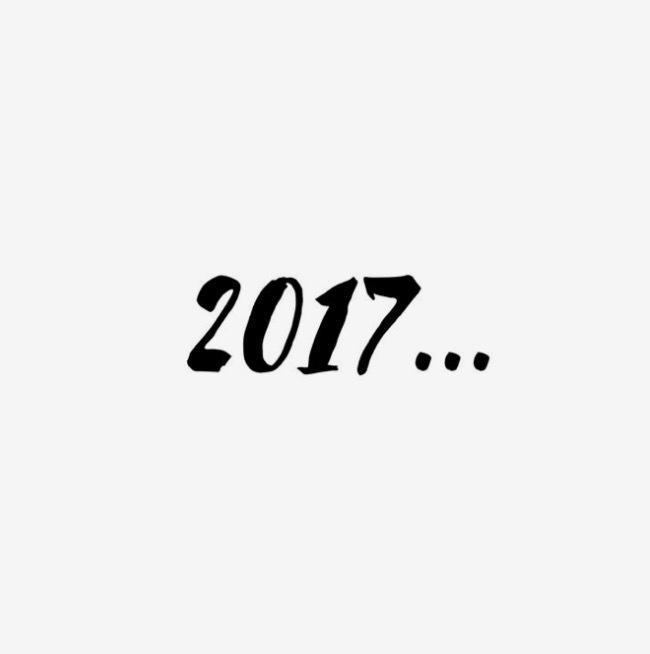 I hope you've enjoyed reading my aims for the new year, and the things I'm looking forward to in 2017. Please share your goals for the next year or things coming up in 2017 in the comments section below. And again Happy New Year! Congratulations on losing 2.5 stone! How did you do it?! I'm joinin a gym this year to try and lose weight so I'm hoping I'm as successful as you have been!